The 'posh' supermarket Waitrose might be your favourite food shopping store, but would you fancy going there for a romantic meal for two? If so, then it's more than likely you will get a table. 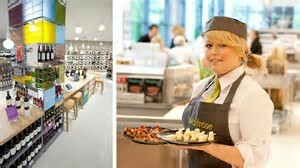 Waitrose is hoping to transform some of its store's cafes from the cheap and cheerful image to a £35 -a-head restaurant. Their soon to be launched 'supper club' will offer a romantic ambience of soothing music, intimate lighting, and a three course menu. The planned dishes will include shaved cauliflower with maple seed granola, salmon with brown butter and chocolate pave. 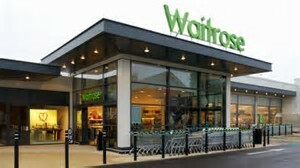 The concept is being trialed on eight evenings over the next two months at a Waitrose store in Haywards Heath in West Sussex, with dishes created by chefs from the supermarket's three cookery schools. Their cookery school manager is reported as saying that they want to make their stores a food destination in the evenings as well as during the daytime. While they realise that the local supermarket might not spring to mind when planning an evening out, Waitrose want to change that. They certainly will! Waitrose has already opened a number of wine bars and sushi outlets in their stores and this is another way of redefining the food store, with them offering a fine dining experience, similar to that available at good quality restaurant. Tables will be laid out for couples and for large groups and the hope is that they will seat up to 50 covers in their Sussex store. 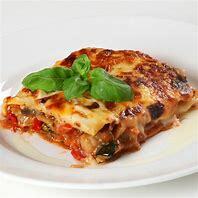 There are already plans for other menu options too - an 'edible garden' of mustard seed pickled radishes, carrot yoghurt and watercress, and roast chicken served with asparagus and Madeira sauce. At £35 per head, the charge covers an unspecified selection of drinks and nibbles, which is thought to include wine. I'll be there then! If the Waitrose's trial proves successful, then the 'middle class' supermarket hopes to extend the 'supper club' concept to other branches across the country. Well done. Waitrose, if furniture store IKEA can do it (sort of), then so can you!